The movie is Major Ravi’s tenth outing as a Director and his fifth with The Complete Actor Mohanlal. This is also the fourth in the Major Mahadevan Series. The previous installments were Keerthichakra which was a runaway blockbuster at the Kerala box office,Kurukshetra and Kandahar.While Kurukshetra performed average business at box office due to its high budget, Kandahar turned out be biggest disaster of 2010. Major Ravi also has plans to continue the fifth in the Mahadevan series, a story based on a rescue mission of Indian Army in foreign land,again starring his favorite Mohanlal. The movie was released in 160 screens in Kerala and played 612 shows in its day one journey including 25 fan shows. The movie could open only to few housefull shows early morning and after the first show fell hard at the Kerala box office. The movie grossed 9.95 lakhs from Cochin Multiplexes from 36 shows with just 8 turning out to be housefull. The overall occupancy at Cochin multiplexes for the movie was just 84%, one of the least for a Mohanlal movie in recent times. 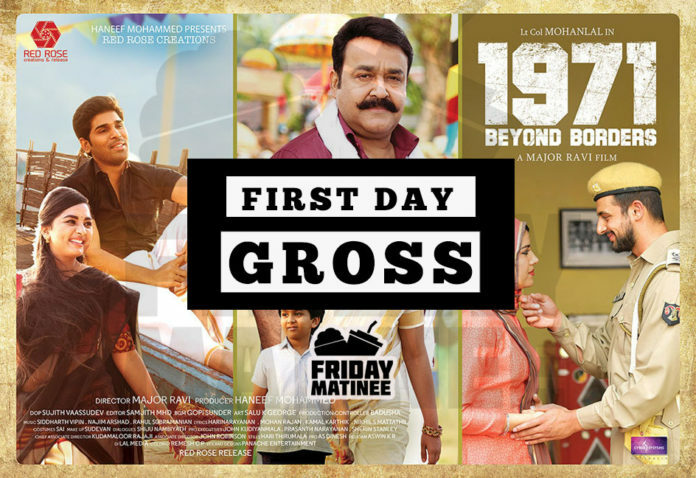 What we here from our close sources is that this Mohanlal movie could gross only 1.8 crores on its day one. With movie goers turning away from this battle movie from day one itself, the movie made at a budget of 12 crores may find it difficult to sustain at the box office. The movie is produced by Haneef Mohammad under the banner of Red Rose Creations and distributed by Red Rose Release. Verdict: Poor opening considering the huge release (612 shows, Kerala). 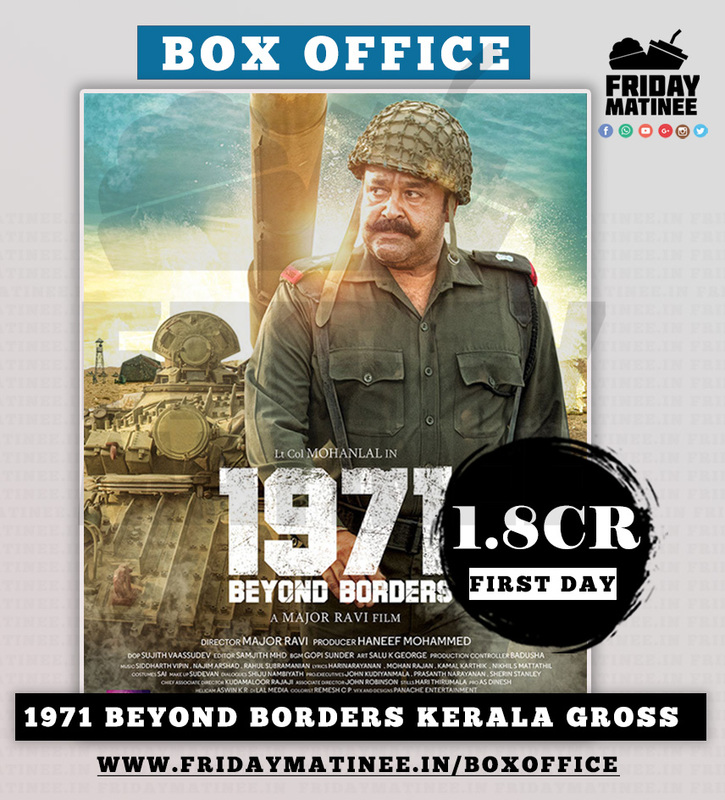 Read our review on 1971 Beyond Borders here: 1971 Beyond Borders Review .